There are some books that all the world knows about. There are some characters that everyone knows the name of, even if they have not read the books that they “live” in. There are some authors that will always stay legends in the literary world. Who Should Read “Crime and Punishment”? And Why? 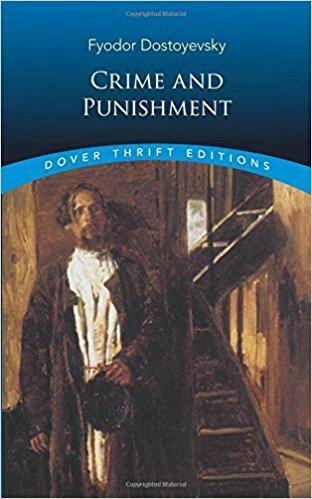 “Crime and Punishment” is a story about Raskolnikov, a handsome but poor young man, that decides to do a terrible crime, and his journey through suffering and introspection, all the way through repentance. My problem with this kind of introduction of the book is that it makes it sound like a thriller, or crime novel when it is, in fact, a complicated study of human emotions and psyche. We recommend it to all lovers of psychological novels and to those that enjoy Russian classics. Fyodor M. Dostoevsky was a Russian writer and philosopher who explored human psychology and societal occurrences in his literary works. The story starts as we get acquainted with Rodion Romanovich Raskolnikov, a sickly former student, that lives in a tiny run-down flat in St. Petersburg. He is a handsome young man, but fortune has not served him, and he lacks money. The moment we meet him, he is debating whether he should commit an unthinkable crime. We realize that the idea that is wandering around in his mind must be awful, but we do not know what he thinks about just yet. That is until we see him overhearing a conversation in which a student talks about an old pawnbroker Alyona Ivanovna, and how the world would be a better place if she were not alive. We know about this woman since Raskolnikov already went to her apartment to get money from her. He, later on, hears another conversation from which he finds out that she will be alone in her home the next evening. We can already sense what Raskolnikov will do, but we hope (or at least, I hoped) that he will not go through with the crime. However, the title of this masterpiece suggests otherwise. So, the next day comes, and Raskolnikov does what he intended – kills the old woman. However, not everything goes according to plan. As he is going from room to room trying to find money, her sister enters. So, he has to kill her as well. Otherwise, he would be found out. He returns to his apartment, barely avoiding any eyewitnesses, and collapses in his bed – only to wake up the next morning, scared and confused. He frantically starts looking for blood on his clothes. The summons he receives from the police further complicates things in Raskolnikov’s mind. However, as he arrives in the police station, he finds out that it has nothing to do with the crime he committed, but that his landlady is asking for him to pay all the rent he owes. During the questioning, Raskolnikov shows signs of guilt (he faints) when the murder of the two ladies is mentioned. So, the police start to suspect him. Now, everything that follows is a complex narrative that involves many characters that somehow affect Raskolnikov’s life. What is important in the novel, however, is not mainly the way the storyline goes, but the ideas it tries to convey. As far as the storyline is concerned, I believe that if I just told you all the events of the plot, you will not be fascinated by the book. 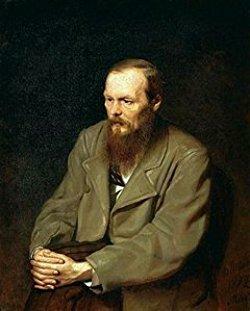 The true mastery of Dostoevsky is his way of shaping the characters and layering his stories. In the core of “Crime and Punishment” is the question of one’s superiority in the society. The lead character, Raskolnikov, is a proud young man and feels superior to the rest. In fact, that opinion, in some part, is the source of his idea of doing a terrible crime. He believes that he is above the law and the moral that most humans share. However, the mental torture he goes through after he commits the crime denies this idea of superhumanity. But Raskolnikov does not want to accept it until the very end and furthermore shuts himself to the outside world and all the people that try to help him. He continually entertains the thoughts that the crime was justified in his mind, trying to erase that feeling of guilt. Of course, he does not succeed in it. It is interesting how we see Raskolnikov’s character analysis from the outside, in the speeches of Porfiry Petrovich, who, before everyone else (even before Raskolnikov too) sees the outcome of the situation. He believes that he will either confess or he will go mad since he will not be able to handle the guilt. And, so it happens as he expected. The “crime” and the “punishment” in the book are not as you would expect them to be. The crime is committed on the very beginning of the storyline, while the character receives the punishment at the very end. In fact, this book is not about these fate-turning points, but mostly about the journey in between, somewhere inside the human psyche and all the complicated emotions and thoughts, Raskolnikov goes through. The epilogue of the book is actually explaining the punishment Raskolnikov receives, as well as his transformation as a character because of the power of love. The future is not as dark as one would expect for him, and although he is punished for what he has done, there is hope for a good life in the future. You know a book is good when it is so complex that you cannot precisely summarize it in a few sentences. As I reread the summary I just served to you; I can see that I was holding off any information that might spoil the book for you. In fact, I was rather talking vaguely about the events and tried to explain the ideas that Dostoevsky wanted to convey by writing this masterpiece. I think I was afraid. By going into detail, I would risk not doing this book any justice. Let’s be honest here: Dostoevsky’s words cannot be copied or retold. I mean, there must be a reason why he is known as the master of psychological stories, right?